The Rajasthan government has roped in teachers for yet another government initiative: Swachh Bharat Abhiyan. According to an order issued by the secondary education officer in the state's Jhalawar district, from 21 June, government school teachers must counsel those who defecate in the open and motivate them to use toilets. The order came as a relief to the teachers after they mistakenly received an earlier order that had asked them to step out of their homes at 5 am, photograph people relieving themselves in the open, and WhatsApp the pictures to the authorities concerned, according to The Telegraph. The new order says that the photographs will be taken by district officials. Jhalawar is chief minister Vasundhara Raje's home district and it aims to be free of open defecation by 30 June. District collector Jitendra Singh Soni said: "Teachers would participate in the Swachh Bharat campaign as motivators. Since they are in contact with students and their parents, the teachers would accompany other district officials such as the sub-divisional officer, tehsildar and others to motivate people to stop open defecation. And it is not compulsory for them to click pictures and send them to the district administration. The teachers would work probably for three to four days in a week." Teachers are not a hundred per cent behind the scheme. According to Basant Jindal, vice president of the Rajasthan Shikshak Sangh Rashtriya, an association of government teachers, the teachers should have been asked to volunteer. "The government should have created a team of volunteers with teachers instead of making it mandatory. Teachers are engaged in (work related to) elections, census, pulse polio drive and national calamities," he said. 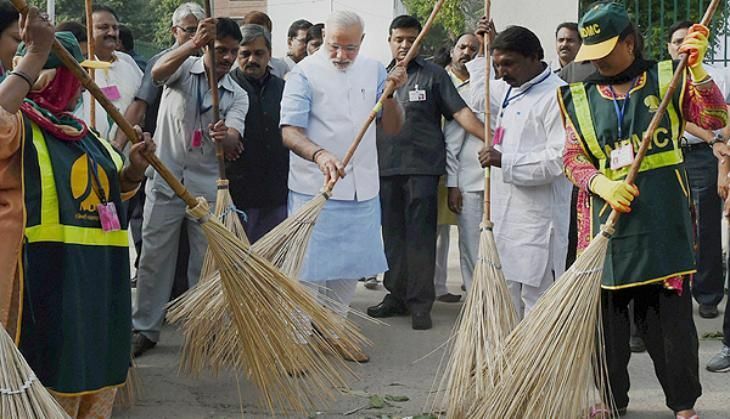 "How can they now be pressured to work under the Swachh Abhiyan?"